Empty walls are boring! 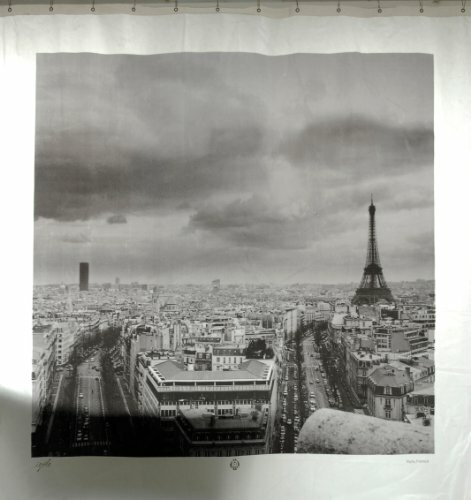 French art fills the gap. 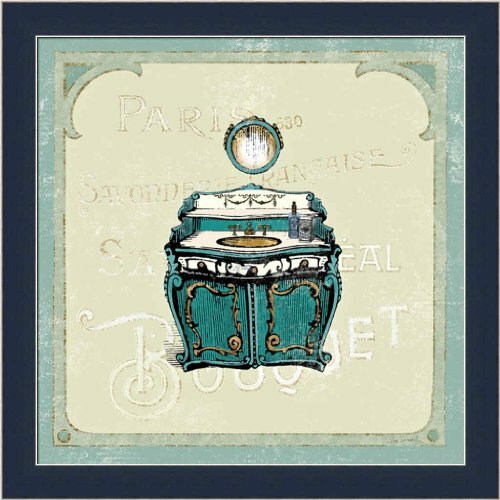 This entire page could be filled with French accessories for your Parisian bathroom decor. Click on any one of these items to see even more. 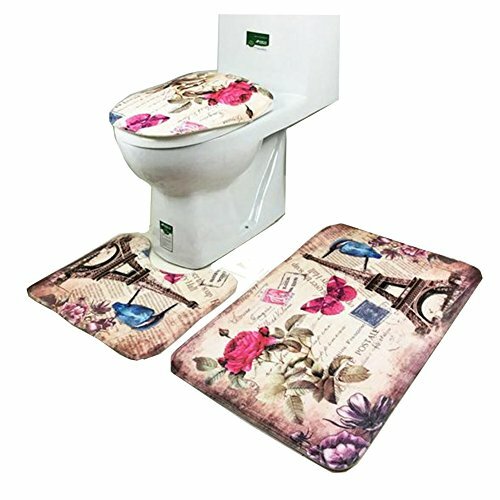 The small table would be delightful with a few French magazines or books for those who make the bathroom their library. 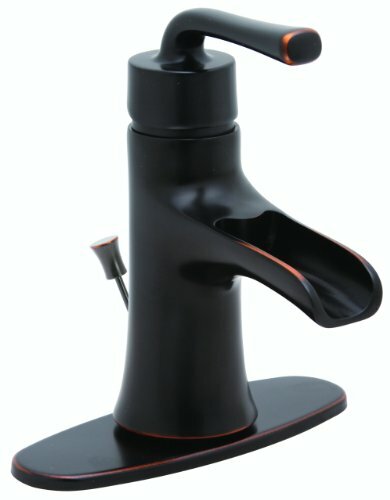 A beautiful French sink completes your look, and is functional as well. You can choose by shape, size or style — any one of these would look fabulous. 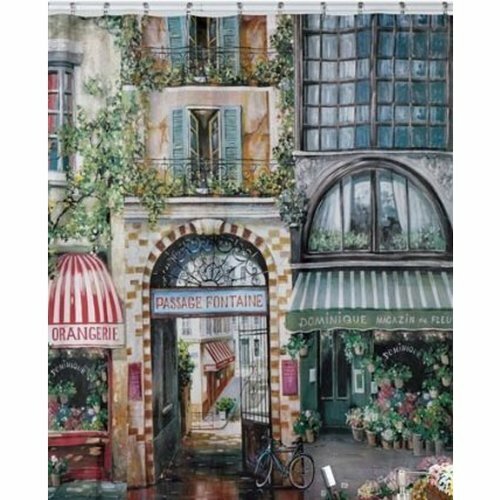 Isn’t Parisian bathroom decor fun? It’s just so feminine and lovely. 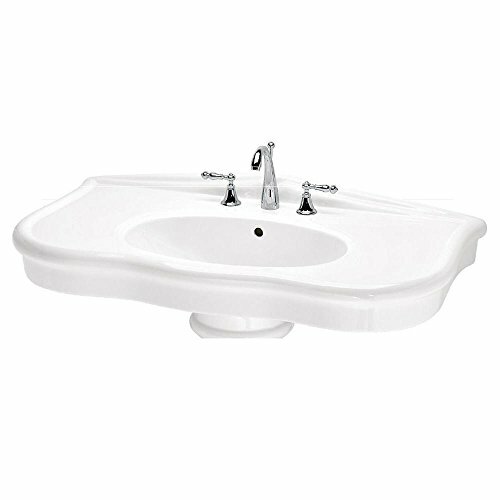 These sinks are one of the main reasons Parisian is popular among the bathroom decorating themes available. Aren’t they lovely? 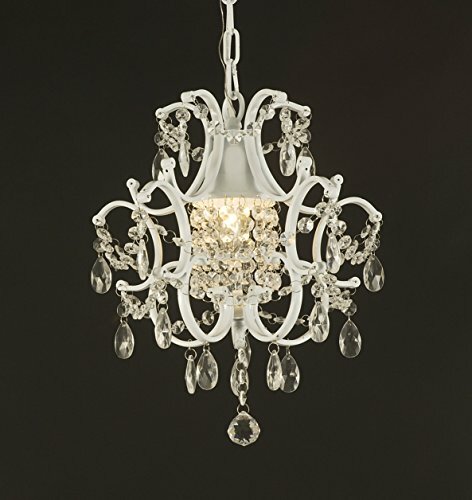 Consider a chandelier for overhead lighting — the look is pure luxury and totally unexpected. 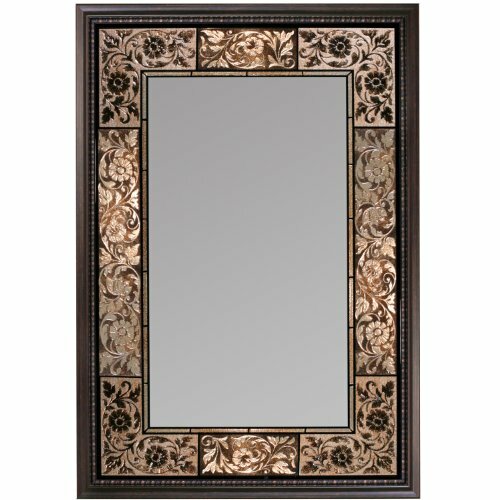 French mirrors reflect the overall beauty of your room and make it seem larger. Place your mirror so that it reflects your favorite piece of art or a bath accessory that you love. Get twice the exposure. 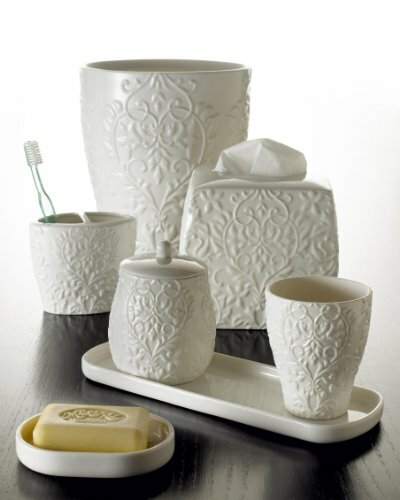 We do need to be a little bit practical and deal with the clutter in every bathroom. 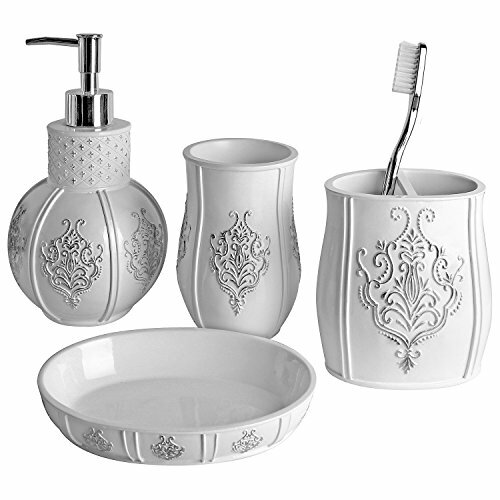 If this is a guest bathroom, remember to supply a basketful of small emergency supplies – toothpaste, toothbrushes, mouthwash in small bottles, Q-tips, and cotton balls. Also, make your room spray available for guests – a thoughtful and appreciated gesture. 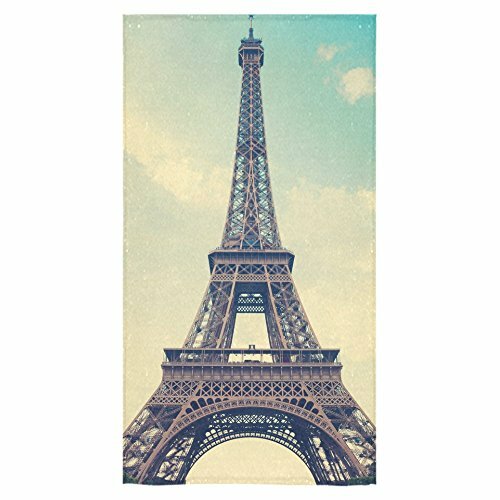 Add a few of these items to your Parisian bathroom decorating ideas list. 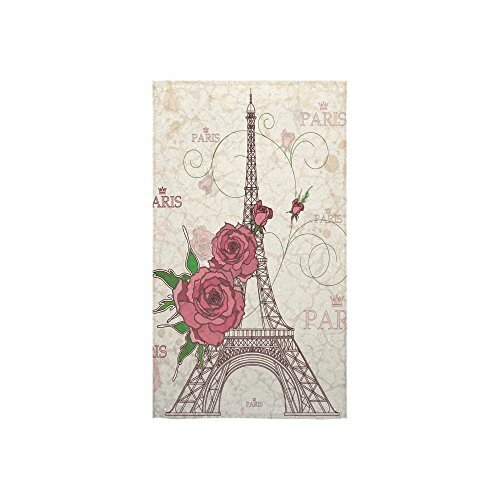 Your Parisian bathroom decor would be incomplete without French themed linens. 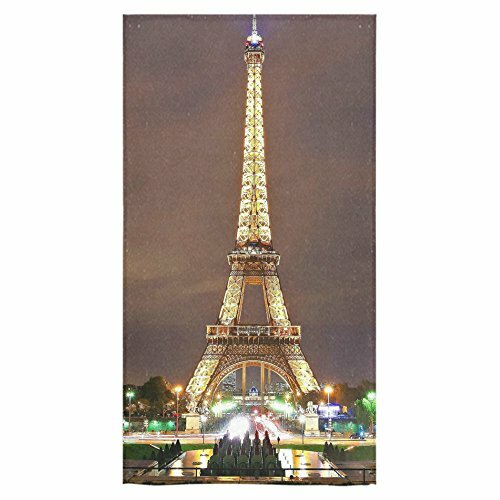 Bathmats and towels are available in all styles, sizes and colors. 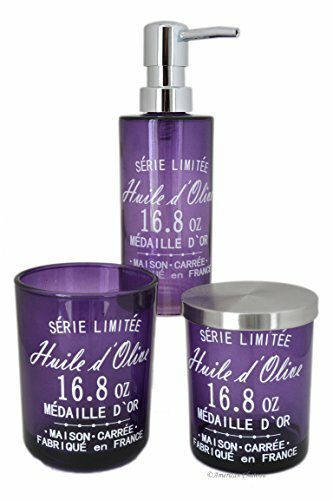 Even the most practical items in your bathroom can have a French theme. Still not sure? 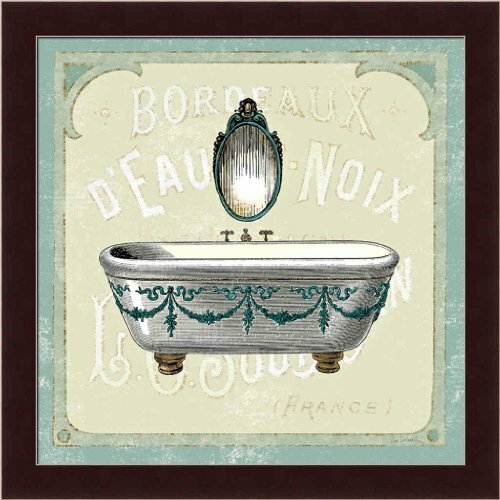 SEE MORE French Bathroom Decor here.